UK-based Ed Goring and Mark McCormick met in 1999 and formed Goldenscan. Both had a career in music before. Ed was part of the multi hit-making Elevatorman as for Mark, he was part of FXU, the first UK act to be signed to NYC’s highly prestigious Strictly Rhythm. Their first (and biggest) success came with the 2000 single Sunrise (with vocalist Maggie). The track was actually out on White Label already in 1999 but it was in 2000 where it got it’s major breakthrough. The version that usually got the most airplay was the Pulser remix, but there was also an remix by Tiesto. Later in 2003, there was a re-release with an Ronski Speed remix. The last remix to be released was the 2011 Neptune Project remix. What I really like about the Pulser remix is that it’s smoother and got more depth than the original. While both Tiesto’s and Ronski Speed’s remix are more floating and light, the Pulser remix is more colder and darker. I remember when first hearing it on a roadtrip early in the morning while the sun came up. So magical! After the success with Sunrise, Goldenscan released their second release, Of Our Time (with vocalist Nicki Evans) was pretty decent. I do love the original mix over the remixes by Super8 and Randy Katana as it keeps some of the original sounds that made Sunrise so good. Their next success came with the release of the EP Halcyon / Only With You where both tracks were successes. This was also their last release before they quit making music. Halcyon (with singer Sally Doherty) is a really pumping and well produced track. Only With You (with singer Miriam Stockley) uses the same recipy as Halcyon which makes the track really good. When I listen to Sunrise, I dream back to the moment when I first heard it, in the warm summer morning just around sunrise in the south of Sweden. Since then, i’ve probably heard it a thousand times and I still think it’s absolutely fantastic. I hope that Goldenscan will continue releasing new tracks on their label and the magic will continue, if not, to let the youngsters know what great music sounds like. For I am a believer in Goldenscan! 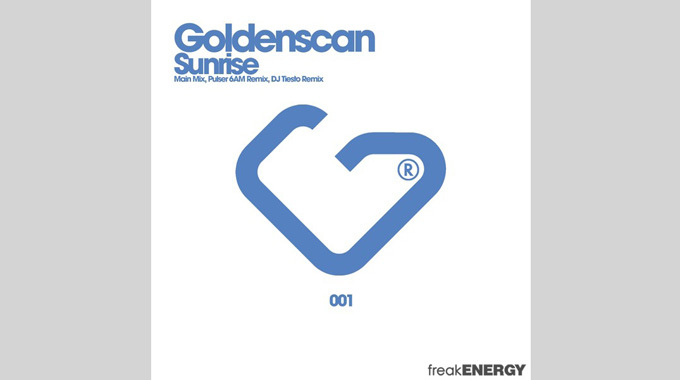 One Response to " Classic FTW: Goldenscan – Sunrise (Pulser’s 6AM Vocal Mix) "
Thank you Niklas, I enjoyed reading this, and look forward to more.